My name is Davis. I am ten years old. 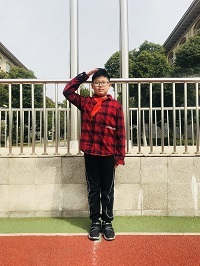 I am from Class 4 Grade 3. I am honored to be a flag-raiser. I like sports. 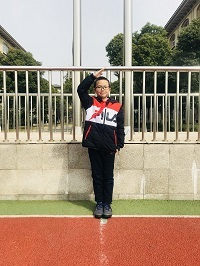 My favorite sports are playing basketball, table tennis and swimming. I like reading books, especially science books. I hope everyone likes reading books, too. That’s all. Thank you! Hello,everyone.My name is Jeffrey and I’m ten. 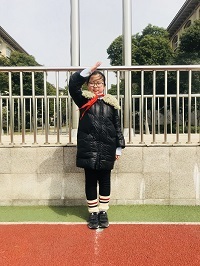 I’m from class 4 grade 3.I’m very happy to be the flag raiser.See?I’m tall and strong.Because I like sports,especially swimming.And l love painting and reading very much.It takes me into a colourful world.Thank you. Hello everyone! My name is Li Yanxuan . I’m in Class4, Grade3. I’m ten years old. I’m a happy girl. I have some hobbies. I like listening to music, reading books and swimming. I like English and Maths. They’re very interesting. Thank you very much for giving me this opportunity. Made me a flay bearer. I’ll study hard and go up every day.